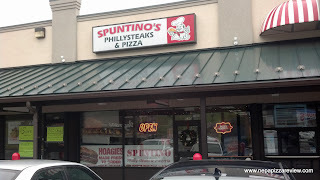 While out doing a little Christmas shopping in Dickson City, I was in need of a quick recharge of the batteries and saw a relatively new place on my way up route 6 called Spuntino’s. It’s a smaller place with about 7 tables that’s great for making a quick stop so it fit my needs perfectly. I was happy to see that they had a nice selection of fresh slices ready to be served. The dining area and kitchen were also very clean and welcoming. 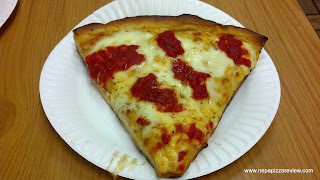 Check out my review of Spuntino's AWESOME Marinara pizza on pizza570.com! The friendly pizza guy greeted me and quickly got my order in the oven and out to me. I ordered a slice of plain New York Style and a slice of Chicago Style which is quite rare in this area. 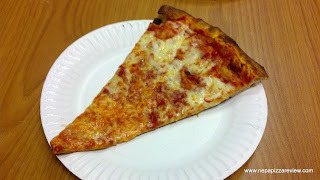 First up was the New York slice which was cooked to absolute perfection. The cheese was melted perfectly and the whole pie was constructed well. When I picked the slice up to eat, it was as flat as a board which means it was stretched well by an experienced pizza maker. The sauce was flavorful and balanced, and the cheese was of high quality. I really enjoyed this slice, and even though the restaurant is in a strip mall, I would absolutely put it a notch or two above that status, which is a compliment. This is a genuine NEPA NY Style pizza, and I enjoyed it. Next it was time to try the much more serious, and much more filling Chicago Style. The crust was probably an inch thick. It was light, fluffy, crispy, and cooked all the way through just as a thicker pizza should be. Really, the crust told the story here and it was an impressive one. It’s very like a Sicilian pizza, so I’m not sure about the authentic Chicago style designation here, but whatever it is, it’s well done and delicious. The sauce and cheese were the same as the New York style, so the whole pie was very good. I especially liked the finishing touches of a little sauce drizzle and oregano on top. It really added some moisture and zest to the whole thing which I appreciated. If I were to place this up against two other “mall pizzas” that I have rated so far, I’d have to put it somewhere between The Gourmet Slice and Basilico’s, which is a good rating. 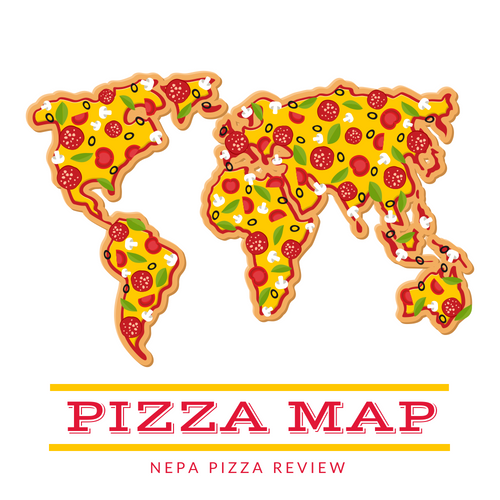 I have to give this place the NEPA Pizza Review seal of approval and offer my recommendation. I also want to get back and try out one of their phillysteaks. Let me know what you think if you give Spuntino a try! Check out what The Slice Godfather has to say about Spuntino's! You say the cheese is of 'high quality' yet you only give it a 2.75/5 on cheese and a 3/5 on taste. I'm just wondering what was wrong with the cheese that it dropped the rating that much. 2.75 doesn't exactly scream 'high quality'.